Demand for the precious metal soared last year with net purchases climbing by an additional 651.5 tonnes to reach a total of 4,345.1 tonnes, the largest bought by central banks since 1967. Not only was it 74 percent higher than in 2017 when 4,159.9 tonnes were purchased, but the 2018 total marked the second largest amount purchased on record since 1971. Gold thrived from its safe-haven status as investors turned to the yellow metal in times of uncertainty from Brexit and the US-China trade war. 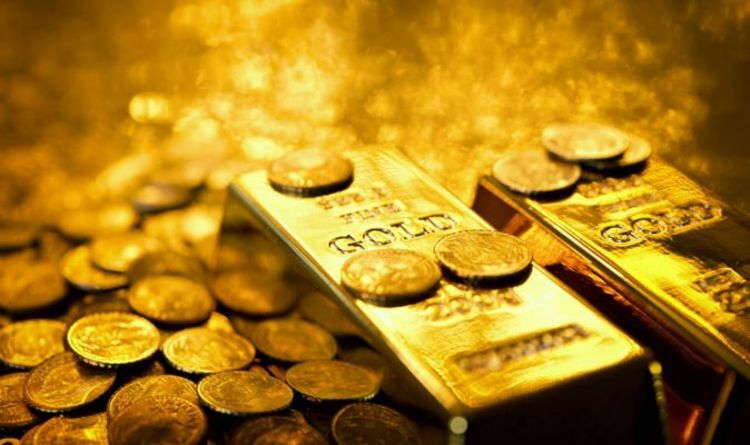 The WGC said in a report: “The world consumed 4,345.1 tonnes of gold in 2018, up from 4,159.9 tonnes in 2017. The biggest buyer of gold was Russia, followed by Turkey and Kazakhstan, the WGC said. And the gold boom could be far from over yet with central banks expected to acquire an additional 600 tonnes this year, according to the consulting firm Metals Focus Ltd. Shortly after the news, gold rose to its highest in eight months after the US Federal Reserve paused its monetary tightening cycle. Spot gold was up to $1,323.84 per ounce at 2.45PM UK time, having earlier touched its highest since May 2018 at $1,324.67. The price of spot gold has gained over 3 percent so far this month. The latest gold rush came after the Fed offered no alterations to its interest rate outlook, instead stating the case for further rate increments had “weakened” in recent weeks. Elsewhere, palladium gained 1.5 percent to $1,382. Platinum rose 0.5 percent to $818.65. Silver gained 0.2 percent to $16.09, having hit its highest since July 2018 at $16.12 earlier in the session. The Greatest Showman NEW album: Guess WHICH superstars sing these songs from the film?